Sturm, Ruger & Company, Inc. (NYSE-RGR) is proud to introduce the Ruger American Rimfire® Stainless. In response to voice of the customer feedback, Ruger engineers have worked diligently to create a stainless steel configuration of this popular rifle in three calibers. 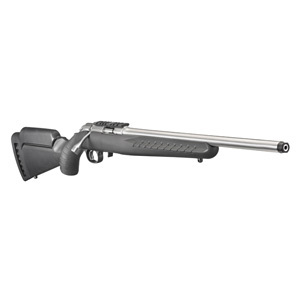 Available in .22 LR, .22 WMR and .17 HMR, these stainless steel and synthetic rimfire rifles live up to Ruger's reputation for accurate, rugged and reliable firearms. 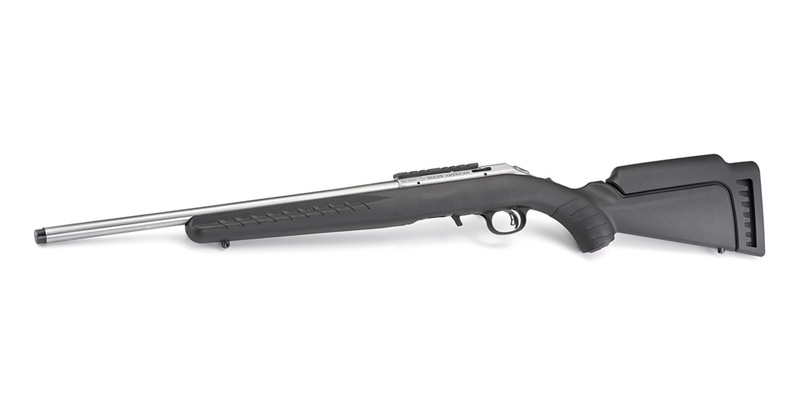 These new Ruger American Rimfire models feature a 416 stainless steel barrel, bolt and receiver. Hand-buffed from end to end, the satin finish is highlighted by the contrasting black thread protector, bolt release, stock and one-piece Picatinny scope base. The 18" cold hammer-forged barrel free-floats in the lightweight synthetic stock and is finished with a 1/2"-28 threaded muzzle. For more information about the Ruger American Rimfire or to learn more about the extensive line of award-winning Ruger firearms, visit Ruger.com or Facebook.com/Ruger. To find accessories for Ruger firearms, visit ShopRuger.com or your local independent retailer of Ruger firearms.